Auguri — best wishes — to Vespa, an Italian classic for 70 years this month! Above: It looks like an ad, but it’s just an average Friday on this Florence sidestreet. Below: Another orderly daytime lineup of motorini, this time in front of the remnants of Sant’Orsola convent in Florence, where (Mona) Lisa Gherardini is thought to have lived out the final years of her Renaissance life. What in the world was I doing here, you ask? Read this post to find out! Read more about Vespa’s history at Italy Magazine. 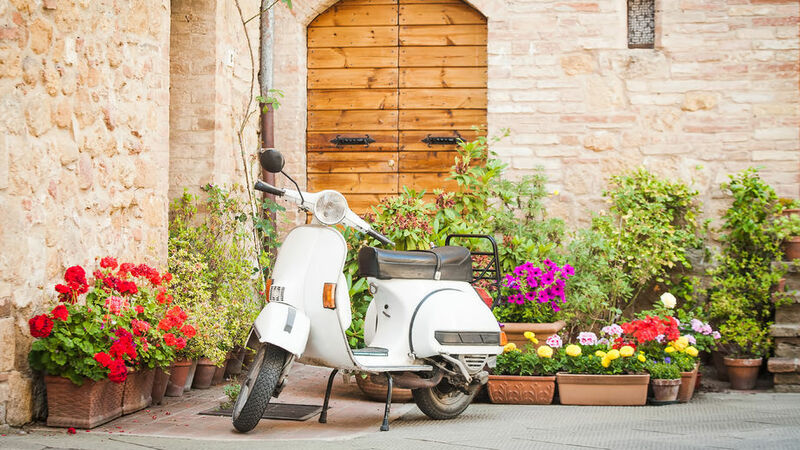 Tags: Italy, Travel, vespa, vespa turns 70. Bookmark the permalink.